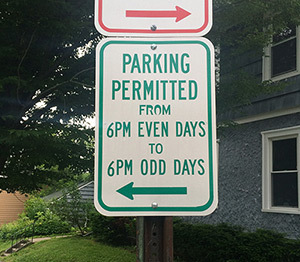 Odd/even parking dictates that from 6pm on an odd day to 6pm on an even day, cars may park on the odd- addressed side of the street. At 6pm, vehicle owners must switch the side of the street on which their car is parked to the even side. 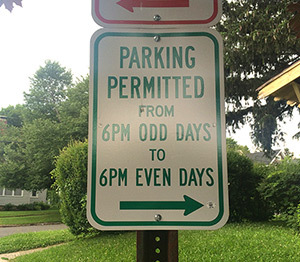 For example, on June 16th, cars should begin the day parked on the odd side of the street. At 6pm that evening, cars should move to the even marked side of the street. Parking along Westcott Street is handled by the Pay and Display system, which replaces the old parking meters. The machines accept both coins and credit cards. 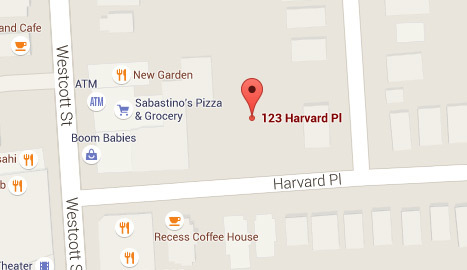 There is also a lot available for short-term parking on Harvard Place across from Recess.